CJ 4DPLEX and Regal opened the first ScreenX location in Atlanta Thursday. 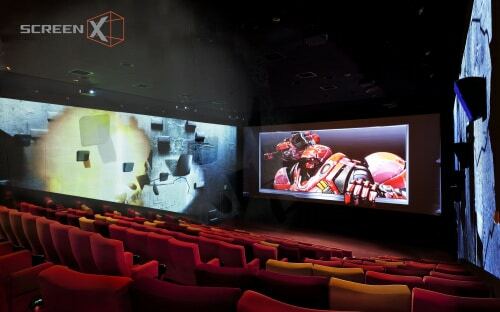 The marks the first theatre in the city to feature ScreenX, the premium, panoramic, 270-degree cinema environment that projects films on three walls of the auditorium. With this opening, ScreenX is to expand its domestic presence to eight locations. The new ScreenX installation is at Regal Atlantic Station Stadium 16 in Atlanta. The theatre is part of the previously announced major expansion plan with the Cineworld Group and its subsidiaries, which include Regal, to bring 100 ScreenX screens locations to the U.S. and Europe in the coming years. The latest ScreenX opening brings the total global footprint to 155, in 12 countries. Worldwide the number of ScreenX theatres has increased exponentially, with auditoriums opening in Western Europe for the first time and with additional locations to launch across China, Japan, Korea, Southeast Asia, France, Turkey and the Middle East by the end of 2018. “We have seen a great expansion of our 4DX cinema technology, and are beyond thrilled to see ScreenX following in its path. Cineworld and Regal have been excellent partners that have shown us great support and understand our vision to push the limits of what is possible inside of a movie theatre auditorium. It is an exciting time as we launch the opening with ‘The Nun’ being the first Hollywood horror film to be screened in the format. It will be quite a visceral, stunning experience,” said Brandon Choi, CEO of CJ 4DPLEX America. The release of The Nun in ScreenX is part of a larger agreement with Warner Bros. to release several films in the immersive format, following the previously released The Meg and Rampage, and including the much-anticipated Aquaman and Shazam!.